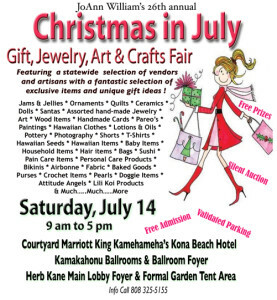 This event features local artists and vendors from all over Hawaii. They will be selling exclusive items for everyone’s early personal and Holiday Shopping lists. Free prizes, free admission, silent auction, validated parking.